As a Red, Darrow, grew up working the mines deep beneath the surface of Mars, enduring backbreaking labour while dreaming of the better future his descendants had been promised would have. But it was all lies. Darrow and his kind are nothing more but slaves. Darrow becomes a Gold, infiltrating the Society's rulers and their privileged realm - all so that he can destroy it from within. But there is so much more to every side of a story. Now surrounded by the Golds he finds friendship, respect, and even love - but also the wrath of powerful rivals. Darrow must overcome his desire for retribution and strive for rebirth rather than revolt. His path is fraught with dangers and deceit, but he must suceed or all will be lost. 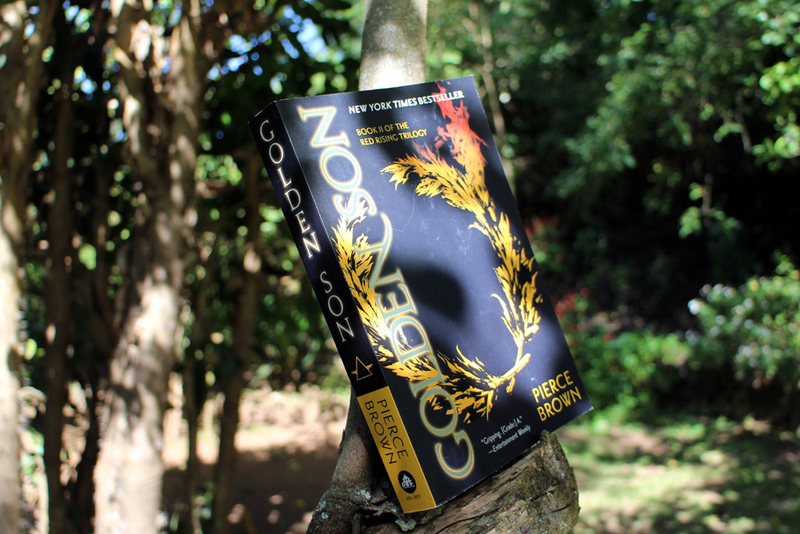 Golden Son is a brilliant sequel. It took me a little while to get back into the storyline and remember the numerous amount of characters and their multiple names and nicknames, but once I got the hang of it, I was hooked once more. Fittingly I read this book while on holiday - I read book 1, Red Rising, whilst on holiday last summer too! Like the first book, the sequel is extremely well written and utterly captivating - but unlike it, it's less fun - as in the quirky humour and the puns and one liners are less present. The tale is growing darker and more ominous and without spoilers - that ending left me short of breath. I don't know what will happen next. 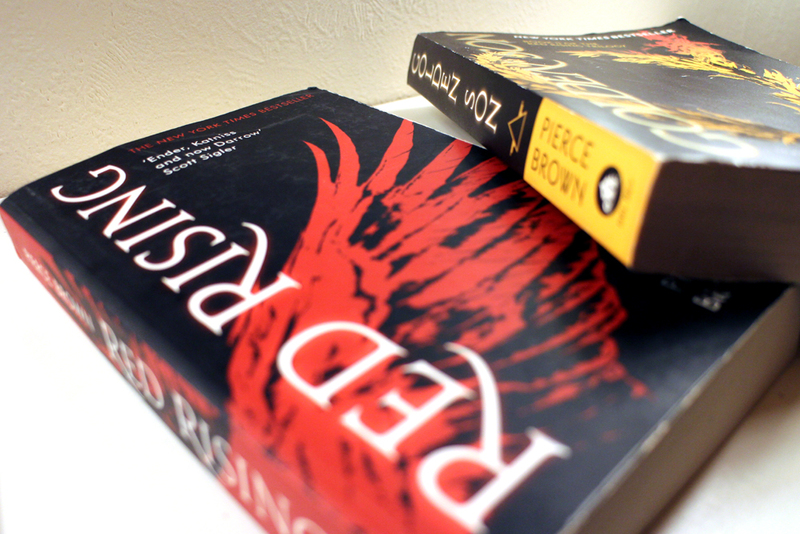 The third book, Morning Star, was published in February 2016 and I cannot wait to read it. But I'm also rather scared to. I have no doubt in my mind that Brown will have written yet another excellent book, but I'm genuinely terrified of where he takes it. I'm starting to think he might just be incredibly ruthless. This is not the sort of science fiction fairy tale book 1 might have led me to believe. There's something far more terrible ahead. First off, I'm loving the shots. 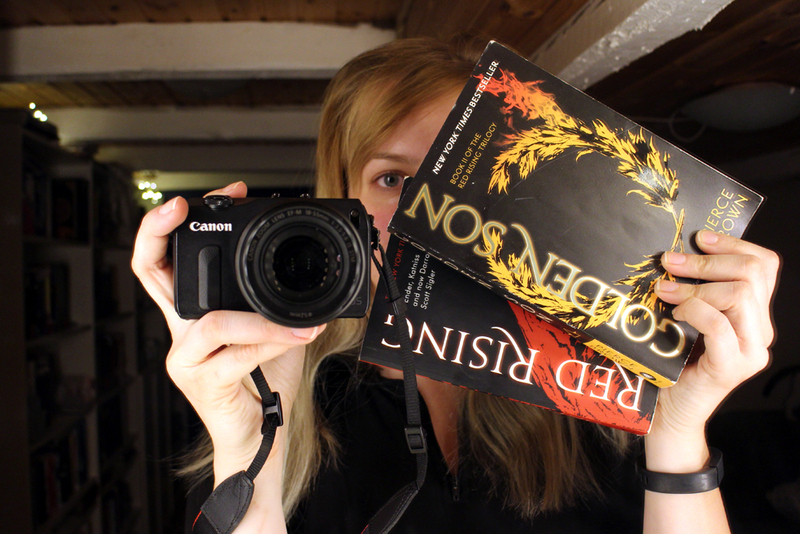 Really shows the gorgeous cover, and also glad to hear you liked it! I still haven't read this book but more and more I've become even more curious about it.